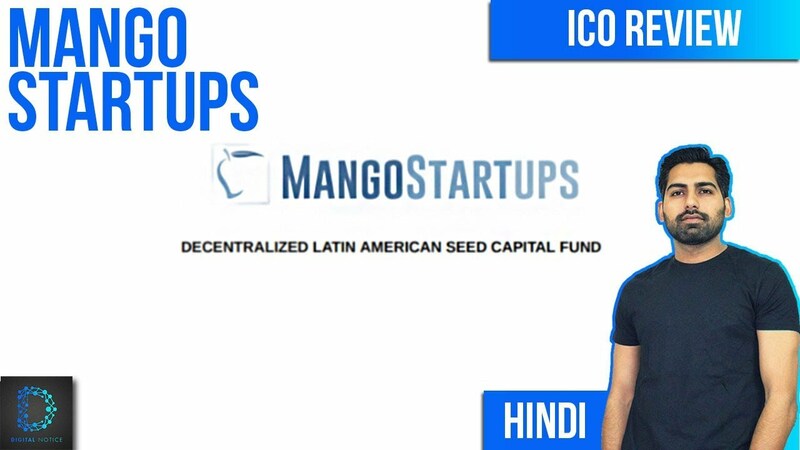 Mango Startups is the first decentralized fund for Latin America. We are investing in a diversified portfolio of 24 tech startups from different countries. We offer transparency and compliance as wel as a clear exit strategy for our investors. Our core mission is to democratize venture investments and become a bridge between crypto and fiat economies. We help venture funds, accelerators and startups to raise capital using crypto assets in order to scale their products. InvertUP to lead the LATAM Accelerators Network (RETEI). Batch 1 Selected (3 Companies Portfolio). InvertUP enlisted in National Stock Exchange. First Exit - M&A Kiboo/ADC Mobile - $6M. Alliance with Fintech Accelerator Aldesa. Batch 2 Selected (8 Companies Portfolio). Up to 24 Companies in the Portfolio. Why Invest in Mango Startups? Mango Startups has its headquarters in Costa Rica, San Francisco and London. This allows us to support and expand the startup portfolio and their products globally. The average time for VCs and Angels to exit via M&A ranges from 5 to 10 years. Mango Tokens offer a clear exit strategy through a bonus distribution or a buyback mechanism. Moreover, since the token will be listed in secondary cryptocurrency exchanges for ERC20 tokens, token holders can liquidate their investments whenever they see fit. All startups in the portfolio have been through a rigorous incubation and acceleration process. All startups in the portfolio have graduated from renown accelerators programs and have proven their business models. More importantly they are currently generating revenue with positive cash flows for at least 6 months. InvertUP is the 1st seed capital fund listed at a national stock exchange in LATAM, providing transparency and compliance with corporate governance international best practices. Why invest in Latin American startups? Latin America is bursting at the seams with talented, resilient entrepreneurs and now hosts 5 of the world’s unicorns, companies that boast a US$ 1 billion valuation. Mercado Libre (IPO), B2W, TOTVS, Despegar.com, GLOBANT, OLX. These companies have paved the way for other startups to envision themselves becoming global players and the next Latin American unicorn. According to the 2017 A.T. Kearney Global Index, five Latin American countries rank in the top 20 for financial attractiveness, people skills, and business environment: Brazil (5), Chile (9), Colombia (10), Mexico (13) and Costa Rica (19). Smart capital in the form of well-established VC funds has already started flowing in the region. More than $150M in VC have flooded the region in the last year from investors like Anderssen Horowitz (Rappi), Founders Fund (Nubank), Goldman Sachs (CargoX), Sequoia Capital, QED. How do I participate in the ICO? The Pre-ICO will start on March 1st,2018. The main ICO will start on March 21st 2018, and it will last for ~30 days. During this time investors will be able to submit an application for any amount of Mango tokens by following the steps on the website login button. They will then receive an address to which to transfer funds from their cryptocurrency wallet. 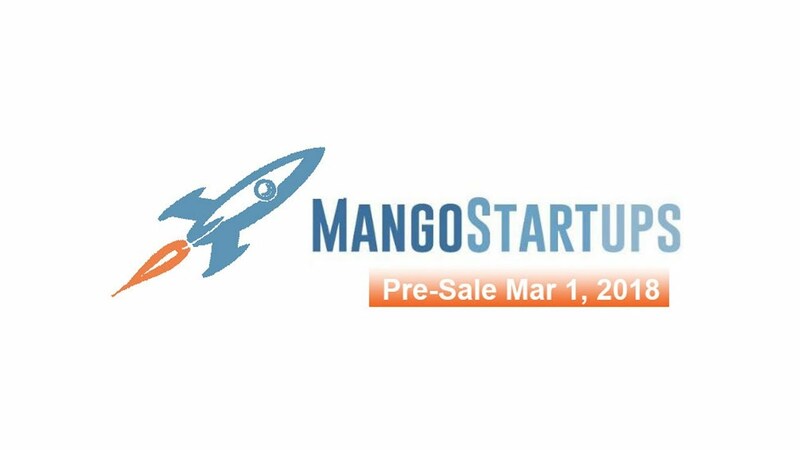 After the ICO ends, the collected funds will be made available to Mango Startups. Investors will receive Mango tokens, which will be issued at the end of the ICO. The number of tokens will be based on the total collected funds and the token price of $0.10. On what site is the crowdfunding campaign being carried out? The crowdfunding campaign is being carried out using an ICO (Initial Coin Offering). Mango Startups will create Mango tokens. Such a solution offers convenience and transparency for all participants in the process. Mango tokens will be created using the ERC20 token, and will be available after the ICO. We are also working with multiple exchanges to expand our reach and liquidity. $1 000 000 of the crwodsale will be used to purchase up to 35% of the 'InvertUP Fund Batch 2' companies. This Portfolio is comprised of eight technology startups from Costa Rica and other Latin American countries. The startups operate within the fields of Solar power, VR/AR, Video, services maerketplace and 3D printing, among others. A full list and description of the startups is attached in the whitepaper on this site. Funds above $1M will be invested in the 'Batch 3' companies. How is the ICO structured? A scheme of the crowd funding campaign is transparent. Mango Startups is a company registered as a SPV for the ICO. Mango Startups will be engaged in raising investors’ funds and the subsequent distribution of profits among them by means of bonus distribution or buyback of the tokens from the market at exits of the startups. Mango Startups will immediately send the funds raised during the ICO for purchasing up to 35% of shares of the 'InvertUP Fund Batch 2'. The InvertUP Fund owns on average ~18% of each of the 8 startups in the investment pool. In case of exit of one of the startups in the portfolio, InvertUP will transfer a proportional share of the profit after the payment of all taxes to Mango Startups in amount of up to 35%. The entire amount will be transferred from Mango Startups to the token holders through a buyback mechanism. What is the value of the startups in this portfolio? The current nominal value of each of the companies within the investment pool averages $2 million. However, most of them have already raised funding that reflects a higher valuation. InvertUP has ~18% equity participation in each startup. Please review the whitepaper for details on each startup valuation. What returns shuold investors expect? Currently, the 'InvertUP Batch 2' has already multiple documented sucess cases. In the whitepaper you will find companies that have increased their valuation by 12X since their seed rounds. InvertUP team’s experience and expertise in the Latin American market allows us to buy shares in startups at a lower cost than would be the case in developed markets. The cost of acquisition at a seed stage is usually less than $100k, whilst the planned valuation at exit is $1-3 million. What certainty do I have as an investor that I will receive any returns for my investment? In order to create a transparent profit distribution model, Mango Startups has created a bonus distribution mechanism as well as a token buyback process. If Startup A in the portfolio generates outstanding profits and decides to distribute them, then Mango Startups consents to distribute this “bonus” to all token holders through a prorated coin airdrop. This will increase the amount of tokens for all holders, and immediately transfer the value to all investors. Moreover, if Startups B in the portfolio experiences a liquidity event (i.e an exit or an M&A), then Mango Startups will spend the net profit, which it will receive from the InvertUP Fund, to purchase out Mango tokens from investors through the secondary exchange, in a token buyback process. This creates opportunities for investors to potentially increase the value of their tokens. Its important to remember that all token holders can liquidate their investment at any point in time through cryptocurrency secondary exchanges. How long before I get the return on my investment? Mango Tokens offer a clear exit strategy for investors in the short term. As an example, two of our companies from the InvertUP portfolio have already received offers for exits. This means the exit period can take 1-3 years from the the initial seed capital rounds. Because of the amount of startups in the portfolio, the first exits for InvertUP's pool can take place in the upcoming 1-2 years. After the ICO, the token will be avilable in secondary exchanges. Token holders can liquidate their investment at any point in time. Is their an early exit strategy for investors? Investors can get out before an exit occurs, by selling their tokens in the secondary markets. If the demand for the token increases over time, then the price can increase following the growht of the fund valuation. How much funding do you need to consider the ICO a success? To purchase 35% of the InvertUP Fund portfolio, we need to collect 1 million USD. If a smaller amount is collected, a proportionally smaller share in the portfolio will be purchased. If demand is higher, we will be able to sell up to $3 million of tokens. Any funds over $1 million will be invested in the selected InvertUP 'Batch 3' companies. What is the minimum investment and what currencies are accepted? During the ICO, Mango tokens will be sold at $0.10 each. The most popular cryptocurrencies accepted are are bitcoin (BTC), Litecoin (LTC), NEO and Ethereum (ETH). For the Pre-Sale ICO you can get a bonus of 33%. The minimum investment is of 1,000 USD. Can the additional Mango tokens be bought after the ICO? Mango Startups issues the Mango tokens, which will be distributed only during the ICO. After completion of the ICO, the issued ERC20 token will be available on secondary exchanges. Is InvertUP Fund compliant with data sharing regulation? As an entity enlisted in the the Costa Rican National stock exchange, InvertUP complies with international corporate governance best practices and transparency of financial details of all of its investments. What will Mango Startups receive for the ICO? Mango Startups will direct 7% of the total amount of the ICO to reimbursement of its expenditures, bounty and social media campaigns. Also, it will receive 2.5% of the profit as a compensation for the organization of the crowdfund. What will happen with the unsold tokens? Are they held at the company (as part of the profit distribution strategy)? 75% of all coins are available for purchase during the ICO. The rest 25% will be kept untouched by the Mango team and investors. Unsold tokens will be held for future token distribution. The sole purpose of holding these tokens is to distribute them amongst token holders when startups in the fund avow outstanding profits (i.e coin airdrops ). Unsold tokens will be held until a startup in the fund decides to distribute outstanding profits, at that moment Mango Startups will distribute the surplus prorated across all token holders. What future do you see for Venture Capital and ICO? ICOs are a threat to the traditional VC model. Clearly, ICOs may save a lot of headaches to entrepreneurs and investors, compared to the usual VC fundraising processes. Shorter time to market, scalability, no liquidity clauses, etc. Some funds, like InvertUP, make it even easier for a group of startups to raise money while minimizing the risk for investors. In the years to follow we will see more VCs climbing aboard, eager to be a part of this brave new financial segment. What happens when there is an exit from a startups in the portfolio? Every time there is an exit in the portfolio, we will be sending the pro-rata amount to each token holder and buying back a percentage of their tokens, effectively reducing the number of tokens that exist until the entire fund is liquidated and there are no tokens left. How does the BuyBack Mechanism works? Mango Startups has a big demo day and chooses to invest $100k of seed capital, through the InvertUP Fund, in a new tech Startup. In return, the fund receives 20% of the company’s equity at a valuation of $500k post-money. In the next 6 months this company will use these funds to expand and grow their customer base in new markets. Mango Startups will transfer this value directly to the Mango token holders through a token-buyback mechanism, meaning that Mango Startups will inject $1.2M of liquidity in the Mango token economy (-2.5% management fees). The tokens the fund purchases from the open market will be burned, and as a result, the total amount in circulation will decrease. The price of the token in the market increases and investors can exit with assured earnings.